Sarah Durrett founded Combat Sexual Harassment, which she is growing into a network of resources for St. Louisans. When Sarah Durrett’s car broke down in 2013, she started walking and taking public transportation for daily tasks in St. Louis — and was surprised to find herself experiencing regular sexual harassment for the first time in her life. So Durrett began considering ways to challenge sexual harassment in St. Louis. After living elsewhere for a few years, she moved back to St. Louis in 2017 and decided to forgo her car, only to once again experience harassment. That’s when she focused on her ideas to start Combat Sexual Harassment, a network to help women and men who have had similar experiences. The network helps people connect with regional resources like knowledgeable lawyers, domestic violence programs, and sexual assault centers. Durrett envisions the organization becoming a nonprofit and securing funding to subsidize self-defense courses for people who can’t afford them. She is starting by trying to educate others through blogs — among them “5 Ways to Gain Better Awareness of Your Surroundings” — and a survey. In the long run, Durrett plans to use the survey results to lobby local politicians — starting with her alderman — to change laws, though she is not yet sure what changes she wants to pursue. Across the nation, some companies have partnered with grassroots organizations to offer employees harassment training, security guards and other ways to stay safe. Durrett said she hopes to bring similar measures to St. Louis. To accomplish that, she said, the survey will be crucial. As important as personal experiences are, Durrett said, collecting them could accomplish more. “If you just bring stories, it’s alarming, but once you actually bring the numbers, then that’s when people will want to make the changes,” she said. So far, she’s received about 60 responses; she’s aiming for 1,000. Grassroots initiatives such as Durrett’s can make national conversations about sexual harassment — and the policies that come from them — more effective, said Matthew Huffman, public affairs director for Missouri Coalition Against Domestic and Sexual Violence. Durrett said she hopes to establish a system like one she used in Egypt, HarassMap, which directs people to “safe areas” where a partner organization will offer haven or help. She’d also like to offer people the option to report where and how they were harassed on the street or at their workplace. U.S. anti-harassment organizations like Hollaback! have used similar systems to allow people to visualize hotspots and trends for harassment. Harassment of all kinds is largely underreported in the United States, according to a year-long study by a U.S. Equal Employment Opportunity Commission task force. EEOC representatives reported that “upwards of 85 percent” of people never filing a formal legal charge, and around 70 percent of people declining to make internal reports. Huffman said the coalition against domestic and sexual violence has seen that mapping initiatives can prompt more people to report sexual harassment because maps provide an opportunity to empower people who’ve just had a frightening or traumatizing experience. “Other individuals can see that and recognize: I am not alone in this,” he said. Huffman added that in addition to warning others, reporting harassment through a non-formal channel can make some feel safer. According to Huffman, mapping is just one part of prevention. “It’s incredibly important that we do have education and awareness, because the next step from that is preventing it before it ever occurs,” he said. Source: U.S. Equal Employment Opportunity Commission presentation highlighting a 2016 report on workplace harassment. That’s part of the reason Durrett wants to educate people on recognizing sexual harassment, knowing how to protect themselves and understanding when someone else needs help. All those processes require people to understand when someone might need help. Education efforts through local, grassroots initiatives can also lead to productive relationships between organizations, in Huffman’s experience. “We know when there are strong, coordinated efforts and coalition-building within communities then it builds up a much stronger support system for anyone who has experienced a form of sexual violence,” he said. For example, when national conversations about sexual assault peak — as they have with the public accusations against Harvey Weinstein, politicians and media figures in recent months — local service providers can help people who may find such discussions stressful or retraumatizing. And engaged local organizations “sends a really strong ,community-wide message in terms of preventing it before it happens and really working to change a culture,” Huffman said. 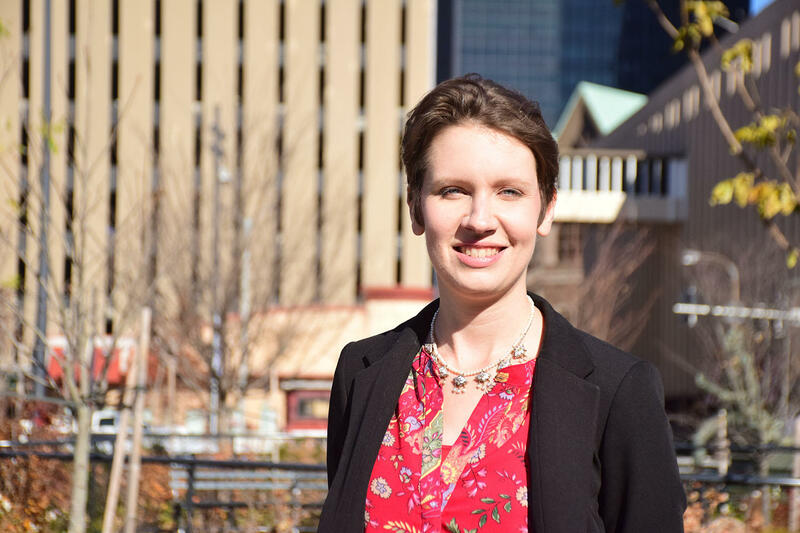 Durrett said she hopes to build coalitions and has already talked with HarassMap’s founder and written to her alderwoman, Megan Green, who represents the 15th ward, which includes parts of neighborhoods around Tower Grove Park. Durrett’s also contacted St. Louis-area prosecutors who handle sexual harassment, and the sexual violence organization Safe Connections. Following HarassMap’s lead, Durrett is focusing on her survey data.